Orbix Bow and Stern Hatches: Front and rear dry storage with easy-on/off sealed covers, compartmentalized with bulkhead foam for added buoyancy. Bow and Stern Bulkheads: Bow and stern bulkheads for added buoyancy. Phase 3® AirPro: Elevated seat with supportive, fold-down backrest and thick padding throughout. Thigh and Knee Padding: Thigh and knee padding alongside cockpit for added comfort and support. SideLock XL Foot Brace System: Adjustable foot braces accommodate paddlers of different sizes. 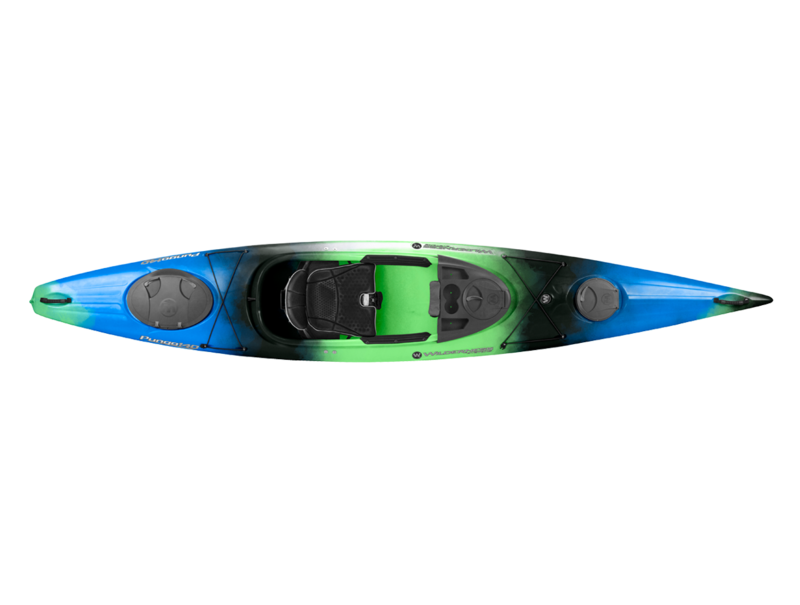 Kayak Konsole: Deck console with drink holders keep your favorite beverage and small items handy. Comfort Carry Handles: Comfort carry handles on front and rear for easy transport.